The rumours were true, we did get a special video broadcast today - although it's not a traditional Nintendo Direct, but a highlight reel which shows some of the upcoming indie titles we'll be playing on Switch this year. 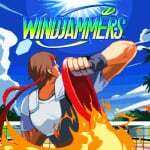 Titles such as Monster Boy, Night Call, Streets of Rogue, Windjammers, Everspace, Bad North and Morphies Law are all featured. All of the games showcased will be playable at Gamescom this week, so let us know if you're going along and which ones you're especially excited about by posting a comment below. Wait, did I miss a few? Did they talk about Wagroove? Planet Alpha? That graphic shows things I didn't see in the video but i was working out at the same time so maybe I missed something? I thought it will talking about 3D Indie games. Let’s hope they’re not all massive downloads. My MicroSD card is pushing its limits. R.I.P Wallet. What did it mean stay tuned? How do you stay tuned to a YouTube upload? As for the presentation itself, nothing much for me there. Monster Boy looks great and i probably cave in and get Terraria...again, but other than that, good lineup, but nothing that peaked my interest. Monster Boy looked superb, Everspace looks good as well. Nothing else was interesting at all for me unfortunately. Are these all newly announced or did we know about them already? Still good to see more content coming. @thesilverbrick Use that handy Archive button. The icon and save data stay, but the game data is erased. You can easily redownload it later if you want it back. I'm not hype for the massively multi-player one but the rest look kind of interesting although I could never get into TWOM or Terraria on any other platform. Oh my, as I said, I had just hoped for some more news on Bad North and a release date, but I did not expect for it to be available "Right now!" ... gonna load some store credit and download it right away! That's a really nice surprise for one! A lot of games I'm interested in, that was a good presentation. Shame I can never find the time to play them all. Welp, absolutely nothing of interest to me here. Eh. Bad North, Prison Architect and Morphies Law are available now. Monster Boy is one I'm looking out for, since it's from the original Westone developers who brought the classic Wonder Boy/Monster Land titles. This one is getting a physical release too as I recall. Also nice to see Terraria heading Switch-bound, not that I will need it. Monster Boy is the one I'm interested in. It seems that it's gonna cost 40 bucks. @darkswabber yeah probably during gamescom. Some really great looking games on show here. There's not that many 3D indies, and for a reason : it's much harder to "look good" by today's standards with an indie budget. Can't say I'm interested in any of the games highlighted though I wonder what "In fact stay tuned for even more info coming very soon" is hinting at. Hurray for Slay The Spire! Was really hoping it would release on the switch! Seems like it was destiny that my 128GB MicroSD card crapped out last week and replaced with a 256GB MicroSD - there are so many more games I want! I loved this Nindie Update! I like Night Call, it has kind of a Papers Please vibe. 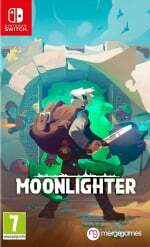 I’ve been interested in Moonlighter for a while now. Still am. @Anti-Matter I'd rather get quality 2d like HK, there is plenty 3d trash. I just cannot believe that Monster Boy song. Child of Morta and Everspace were the stand out titles here, but I wouldn't say I'm going to, without question, buy either of them. Although it is cool that Switch is getting Slay the Spire, it's a good fit. The best part of this Spotlight? It was a prerecorded video and I could fast forward the parts/games that didn't interest me. I thought this was a pretty decent showing, but I guess I can see why others felt it to be anti-climactic. I've had some friends recommend Slay the Spire to me before, but they made it look way more fun than the trailer did. And what's up with WarGroove? Maybe the reveal is going to be done by the publishers themselves, hince the "stay tuned" message at the end? Children of Morta looks promising, but with Diablo 3 coming soon I'm not sure if I need anything else in this genre. Everspace also took my attention but there's Starlink on a horizon & again I don't need two space shooters at the same time, will have to read reviews to make a choice between these two. And where's AAAwesome Direct? Indies are just filling gaps between big releases so I can't wait for these new reveals, not 3+ years old ports but really new games. I still don't see Freedom Planet 2. No Wargroove? I am pretty disappointed by that... Been wanting that game for well over a year now. I did spy Wargroove listed at the end of the video. Still sad by any lack of a highlight though. I didn't watch the Direct, any word if Terraria will have crossplay? This War Of Mine on Switch... If you wanted to get depressed on the go or in the living room. The game is enjoyable (if one can call it that), but pretty heavy. 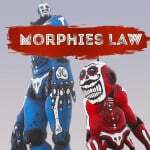 @Anti-Matter whilst I agree with you on most of the games in the direct being dark what about Morphies Law? It's the most colourful game I've seen all year, and also a 3D indie. @oji I dunno, D3 hails from 2012, so chances are most folks who really wanted to play it - even on console - already have. 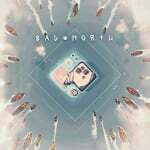 It's a nice get for the Switch, but having been a big fan of Studio11 since their very first mobile game (shocking yes, I know, but Anomaly really was and still is a fun game) I am actually more excited for Morta. I mean Moonligter might be their 'worst' game yet, and even that doesn't imply it is by any means horrible. Plus, Morta is certainly going to be much cheaper, probably like a quarter of D3 and some folks just might not cherish the idea of paying $60 for what still is in large part 2012 content. Also, and we'll have to wait and see, but I figure Morta might be the 'better' looking game, assuming the trailer is anything to go by and as long as it also performs smoothly across the board. D3 will be a visual compromise for sure. It's an old game, but with the framerate they are targeting, there have to be cuts when the screen is as busy as it often gets in D3 with plenty of enemies and effects pushing the fillrate. I don't want to play Shooter games. Monster Boy, Everspace and This War of Mine all look great, not sure about Morphies Law, it kinda looks fun but something about it is off-putting, i can't put my finger on why. Shame A Hat in Time wasn't announced, i mean i'm not expecting it but i would love it on Switch though. I'm definitely interested in learning more about Everspace. The more games I can play similar to StarLancer, the better. 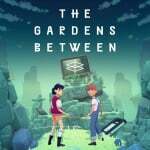 Also interested in The Gardens Between, Bad North, and Monster Boy. Still no sign of Hyper Light Drifter...Im worried. 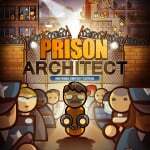 Prison Architect is an intriguing concept, but the game just doesn't look like it would be any fun to play. If there's a demo, I'll have a look, but nothing else here is of interest to me. So much great games. 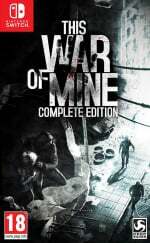 The War of Mine will be mine, Everspace, too. Also very interested in Prison Architect, Bad Nortz, Moonlighter and Children of Morta. Finally a release date for Monster Boy! Can't wait. As far as indies are concerned, I thought this was a good presentation. Bad North looks awesome, and I'm a sucker for tower defense games. All say hello. My wallet is not ready! I know you love the cute stuff. You make it sound like the direct should have satisfied your very precise taste. Not every game can be Yooka-Laylee, Crash Bandicoot or Spyro, sorry bro. Was hoping for news on Wargroove and The Messenger. Oh well. And that's why i was frowning my face with disappointed feeling during & after the Direct. And i don't have to like those Dark indie games. During watching Direct from Youtube, i pressed the Right button rapidly to speed up the video playing by amount 10 - 30 seconds. Because i just skipped every single Indie games that i have no interest about. @sandman89 Monster Boy looks amazeballs I agree. Monster Boy is as cute and colorful as it gets. I know you want 3D not 2D, but then again : the narrower your tastes are, the less chances you have to be satisfied. If I decide only black and white games where a waitress is the hero are worth my interest, I can't act surprised that there's not one in every Nintendo presentation. Everspace was super in my groove definitely getting that when it launches in December as it looks a lot more interesting than Starlink to me. I still wasn't sure about Monster Boy. Did you try out Wonder Boy ? It'll be very close to that. @AndrewJ pretty sure the messenger is coming out this month why need news about that? Eh... Not interested at all with Wonder Boy. Don't like the character design, theme, etc. @WinterIceFox I hadn't seen a confirmed release date for The Messenger, but now I see it got a release date just a few days ago. Still, mentioning that in the video would have been good. Where the hell has Wargroove been? I was hoping to see more on Squadron 51 or get an update or something. Oh well, Monster Boy and Everspace look awesome. I didn't think there was a big difference between the two games. Sadly, nothing for me here, except maybe, just maybe, Everspace. @Ralek85 Most maybe, but I am just about to finish D2 finally (most of the way through the DLC now after a year of scheduling a group to play) so... perfect timing for me. Honestly, the fact that they didn't save some of the better looking titles on here for a September Direct is either really promising or really worrying, I'm not sure which. Everspace and Morphie’s Law seem cool. “Roguelike” is a very hot term right now, haha. It’s getting ridiculous. WAIT STICK FIGHT IS COMING? WHY DIDN'T THEY SHOW THAT!? That's like, one of my most played multiplayer games of the last year. Hopefully it'll be a little more stable on Switch, but even if it isn't that's half the fun. @Anti-Matter Some of my favorite games of all time are games I wasn’t sure I’d like. You are missing out by being so closed minded about gaming. I get that you don’t like violence or shooting (I don’t really either), but there are a huge amount of games that you seem to skip because they don’t fit a very precise mixture of your preferred design choices and themes. I really feel like you would at least like Splatoon if you gave it a chance. Wonder Boy/Monster Boy also seems like something you’d like, but I guess I was wrong after reading your above comments. Moonlighter, Children of Morta, The Gardens Between and Everspace are the highlights for me. I really was hoping for maybe 1 game i like or atleast the release date. But not any of those. I don't want to sound negative and dark. But again a list of releases wich are pure garbage. Except for moon lighter and the Gardens between. And those games i will not purchase to. i really love to see more simulation games ont the switch. Like animal crossing, my time at portia. But have to wait for that. I'm not an indi fan. For every good game there is a shed load of stuff that would look more at home on a mobile phone for free. Or at least if they all came with demo's we would get the opportunity to test before we buy. But that's not what the makers want, they would loose sales. Nintendo did not even want to put this stuff into a proper Direct, maybe it would devalue the point of Directs. Smoke and Mirrors. These Indi games, Ports and old 3rd party stuff deflects from the lack of new Nintendo games this year. Personally I just rather take something new at this point and Children of Morta might, just might fit the bill there - we'll see. @imgrowinglegs True, but I think it's important to remember that not unlike "Animation" it is not really a genre unto itself. There are vastly different rogue-likes available, just look at Ironcast, which is basically a match-3 type game in a steam-world setting, or Dead Cells, which is basically a Metroidvania with permadeath, or Bad North, which is a an RTS boiled down to it's most essential mechanics. I could easily name a dozen others (like Enter The Gungeon, which is basically a Top-Down-Shooter), so ... yeah, many of them are fantasy'ish top-down/sidescrolling action-platforming'ish titles, but certainly not all of them. There is a whole range there worth taking note off, and with games like Frost or the upcoming Slay the Spire you can add card games to that mix. What ever happened to "AWAY: Journey to the Unexpected"? Glad to see Everspace get a release month. That game looks excellent. interested in Moonlighter since their Kickstarter campaign, also keeping an eye on Children of Morta and... whoa... Everspace looks just amazing!!! Monster Boy is the only game I want. I wish all indie games was of THAT quality. I’m burned out on pixel games. @Heavyarms55 That was my disappointment as well, made worse by the fact that the YouTube thumbnail included that screenshot that was presented at the end - making me think the direct had Wargroove info in it. Definitely one of my most anticipated titles, I really hope we get some solid info out of the Gamescom show. @zool it's all based on strategy... All the ports that have been announced are online focussed games. Even their own Smash game, all these games add value to the paid online service which is coming... If Nintendo drop their big IPS while their playing the online strategy, they would lose sales from those 3rd party games and that would bring less attention to their online. I think next year we will see more Nintendo exclusives and even more online focussed games. I have too many proper games to catch up on, i normally buy indies at the end of each console life, except Shovel Knights, thats just one of those games... Must play kinda game. Wow, Reggie was right, Nintendo does have a ton of new games! Oh, these aren't by Nintendo? They're indies? What the hell then?? So much for believing Lying Reggie! Look, fall is like 1 month from today, if they were going to release these massive amounts of games in the fall, they'd have shown them already!! Myyyy! That British girl sounds sooo.... well, British! I prefer the American guy's tone of voice. Pretty meh for me. 1 or 2 look like worth finding out more but not that exciting. Hopefully additional get announced. @Razer yes maybe next year. For now I'm looking at Diablo 111, Red Dead or Dark Souls ( not having played any before I'm looking at reviews as they come out) to fill a gap ahead once I finished Octopath Traveler as I am not a Pokemon or Smash fan. Can't wait until the "Rogue" fad falls out of favor. I can't wait until the next crop of developers thinks, "What if, like, we made the levels our selves? Like, designed it and everything. The games would feel so much more organic." @zool to be fair i'm not big on Pokemon myself, i do like some smash but its not a "system seller" for me at least. Thing is im backlogged with games. I purchased a Switch in January just gone (i ordered in December but lol at "5 working days for delivery" in the holiday period 😂). So i had some catching up to do, BOTW alone took me a month, so yeah I've yet to get Octopath Traveller, also i want a physical copy (for all my big games i got physical only). Im hoping for some rabbit out of the hats with the online coming... Something like Twilight Princess HD digital download would be great. 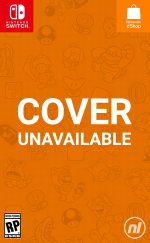 Still waiting on updated info regarding Save Me Mr Tako that was announced in the fall nindies direct last year. When is that coming out Nintendo?! I was hoping for a release date for Mark of the Ninja. I'm going to get a few of these. Streets of rogue, Prison Architect, Bad North, Everspace, Terraria and more I've probably forgotten all looked great. Edit: The spire one with the deck building. I'm getting that too. Particularly as those who label their games as a roguelike tend to do so incorrectly. There is more to a roguelike than permadeath and/or randomly generated levels. Streets of Rogue is more roguelike than most others that claim to be so. How many times did they force that poor girl to say rogue-like/lite? A lot of these seemed to mesh together into one big conglomorate being. But a couple caught my eye, just hope they aren't the high end Indie's have been charging of late. Not shovelware but not all quality games.Overpresentation of "indies" can't hide the lack of 3d party AAA games.